In general, a real estate deed must be delivered to and accepted by the grantee(s) to be properly executed or valid. Since most states do not require the grantee’s signature on a deed, the grantor may find it difficult to prove delivery and acceptance. With the Affidavit of Deed form, grantors in a transaction can verify the date of the completed conveyance and protect themselves from future claims or questions when applying for Medicaid or other asset-based benefit programs. An affidavit is a sworn statement, made in front of a notary or other officer authorized to administer oaths. An affidavit of deed confirms delivery and acceptance of a deed by the grantee, and thereby its validity. 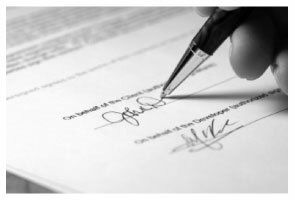 It is a useful document because most states only require the grantor's signature on a deed, so it can be difficult to prove delivery and acceptance, both of which are required to have a properly executed deed in many states. With a correctly executed affidavit of deed, grantors in a transaction are able to prove the date of the completed conveyance and protect themselves from future claims regarding ownership of their former property. In addition, Medicaid and other asset-based benefit programs often uncover title problems when processing applications. If the grantor is protected by an affidavit of deed, these issues are generally easier to resolve. Unsuspecting homeowners have found their wages garnished, their credit destroyed, and their tax refunds seized, all because of unrecorded deeds for property they thought they sold. They've opened their mail to find bills for back taxes, graffiti-scrubbing services, demolition crews, and trash removal. They answered their front doors to encounter bailiffs brandishing summonses to appear in court. In some cities, people in this situation can be sentenced to probation with the threat of jail if they don't bring their houses into compliance. There has been much talk about so-called Zombie Titles in the wake of the recent foreclosure crisis. While an affidavit of deed will not directly help in these situations unless the foreclosing lender accepts a deed in lieu of foreclosure and signs an affidavit, it will help in similar situations caused by unrecorded deeds. For example, Tom Homeseller inherited a vacant house and no longer wants it. He sells the house to a company that specializes in managing low-end rental properties. Mr. Homeseller prepares the deed, signs it, and delivers it to the company buying the property. Despite the fact that the company placed tenants in the house (and collected rent from them), they never bothered to record the deed. The company also failed to provide suitable property insurance, to pay the real estate taxes, or even to cover the water and sewer bills. A few years go by and the house catches fire. The company walks away from the property. The tax collectors come after Mr. Homeseller since the deed was never recorded and his name still appears on the title as the owner the property. For the same reason, he is also obligated to pay the removal and cleanup costs of the property as required by local codes. He could even be held responsible for any loss the tenants suffered if the fire was a result of poor maintenance. Without an affidavit of deed, signed by the grantee, Mr. Homeseller will have a difficult time proving that he ever sold the property. These are just a few reasons why the grantor should require the grantee to sign an affidavit attesting to the deed whenever ownership of or interest in real property is transferred from one party to another.